Mehran is your local Boxhill Building Inspector. Mehran has over 17 years experience in design, construction and the inspection of buildings in different fields of engineering (residential, commercial and industrial projects). 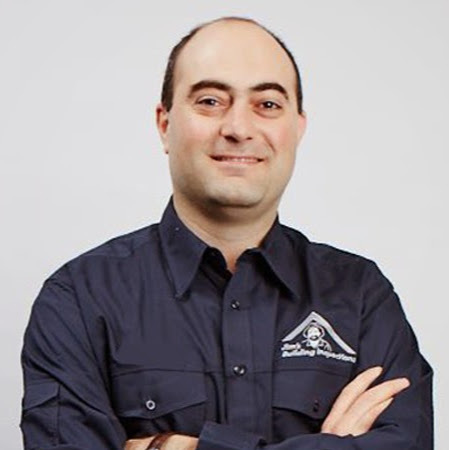 Mehran is a registered structural engineer in Victoria and has a Diploma of building surveying. Mehran doesn’t simply inspect buildings visually, he meticulously examines them to find defects and their source of origin. Mehran gives advice on the possibility of alterations, wall removal or extensions of properties before and after purchase. He is authorized and fully insured to give remedies to resolve problems and defects and also give advice on changes to existing buildings. Mehran has the following memberships and registrations: MIEAust, GIStructE, MAIBS, CPEng, VBA civil/structural engineering registration (EC 41610) and RPEQ. Mehran has lived in Australia for a long time. He is familiar with Middle Eastern culture and also very interested in Asian culture specially their Feng shui design principals. Mehran and his wife have two kids and live in Doncaster East in Melbourne. He provides services to Boxhill and surrounding suburb areas. He is fan of footy game and plays soccer in Boxhill soccer club with his friends. He was a professional swimmer when he was teenager.